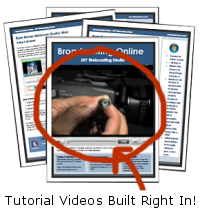 The only updated, hands-on e-guide to producing interactive live webcasts written by experienced experts! This reader-friendly, 40 page manual is a compilation of every webcast related question submitted to The DV Show podcast plus more. It provides all the information needed to take advantage of the unique interactive power of the web and how to create dynamic, exciting live shows confidently to an audience of thousands. 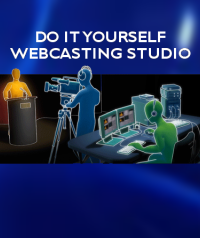 “Do It Yourself Webcasting Studio” is an easy to follow guide designed to quickly get you past the learning curve without going through hours and hours of research. NO more wait to have your questions answered. NO more debating on what equipment is best or how to set it all up – it’s all here! Dozens of listeners questions answered – plus ask your own!